Corral Drive-In Theater & RV Park in Guymon features 27 pull-thru RV sites and 23 back-in sites, both types available with 30/50 amp service, sewer and water hookups. Guests are also welcome to bring pop-up campers and tents. The RV park offers laundry facilities, restrooms, showers, free WiFi and an RV parts store for your convenience. 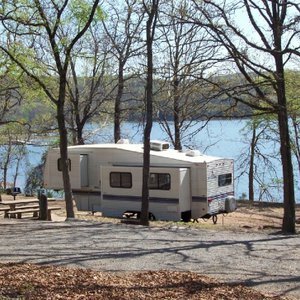 The RV sites offer plenty of privacy with more than 40 feet between sites. There are also RV repair services available on-site. Entertainment and dining options are also close at hand at the Corral Drive-In Theater & RV Park. The park has a drive-in movie theater, as well as a pizzeria and grill that is open from May - August. Visitors will enjoy double features for one low price, as well as homemade pizzas from the pizzeria and items from the grill. A variety of concession items are also available. Remember the days when you watched movies under the stars or make new memories by visiting the Corral Drive-In Theater. Night desk is open 24 hours. Store hours: Mon-Fri 9am-5pm. Drive-in theater and pizzeria open May - August. Per night: $30 - $35; extended stay rates are available. While every effort has been made to ensure the accuracy of the pricing listed above, prices are subject to change without notice. Located on the SW end of Guymon directly off Hwy 54. 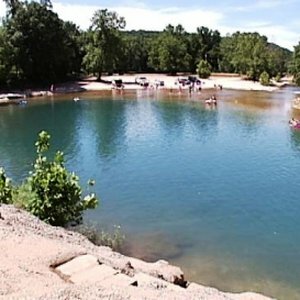 Oklahoma offers many diverse camping options perfect for an RV or motorhome getaway.